Sorbus forrestii is a rowan that was introduced into western horticulture by the plant hunter George Forrest (1873-1932). He discovered it in Yunnan, China in 1921, during one of his many forays into western China. 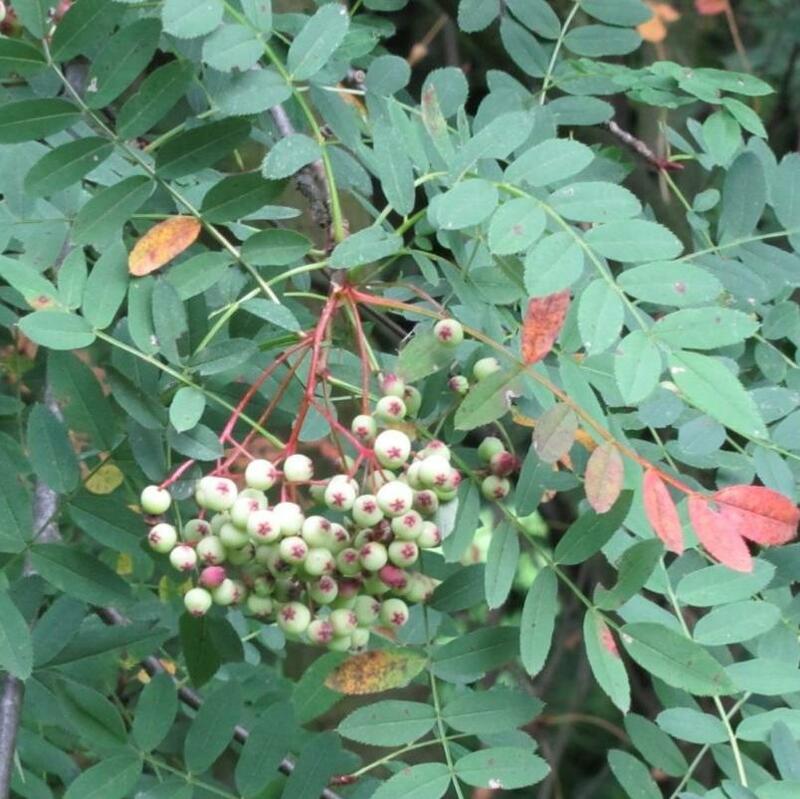 This is one of the many gems introduced by this prolific plant hunter - a distinctive Rowan with pearly-white fruits and short green-blue leaflets. 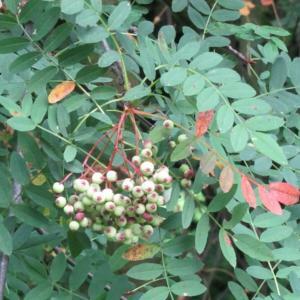 It was first described as a species when a plant labeled as Sorbus prattii growing at Ness Gardens appeared different from others of that name. 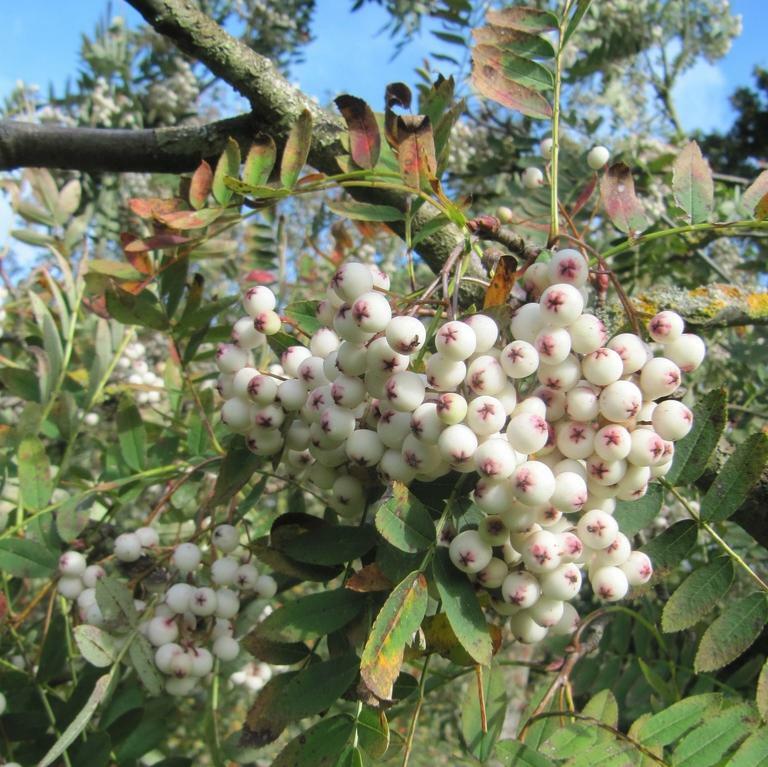 This stimulated much research on rowans by Dr. Hugh McAllister and the naming of many varieties introduced from the wild as distinct species; including this one which is now named after its collector George Forrest. This species has good autumn colour and will remain as a small tree/shrub and retain its fruit late into the autumn.